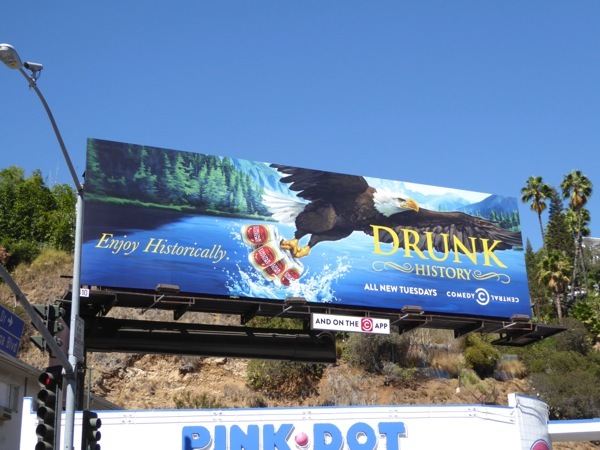 Comedy Central's Drunk History is back for a fourth season with another hilarious billboard this time having some fun with American's national bird, with this parody ad creative of a Bald Eagle clutching a six pack of beer in its talons. 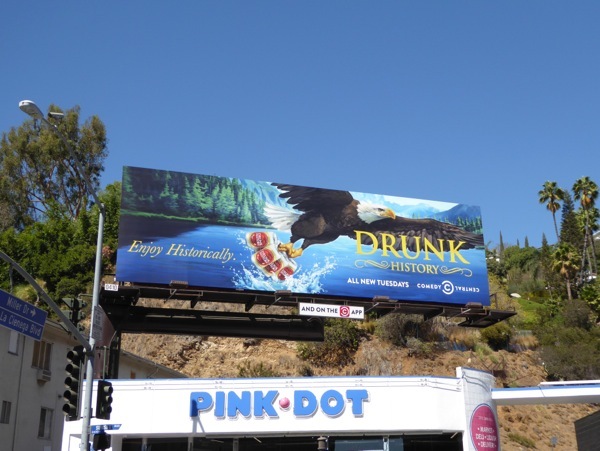 Based on the award-winning web series, the show takes a skewed look back at America's past, re-enacting famous events in history through an inebriated lens, performed by all-star casts and drunken narrators. Forget the past, who knows how the future will look back at this current period in U.S. history with the most bizarre and divisive Presidential Election currently underway. 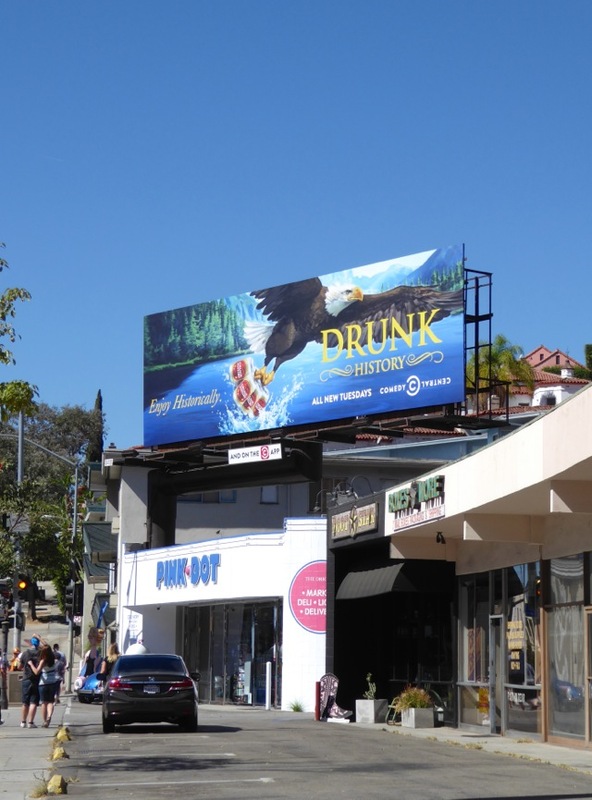 This witty season four billboard featuring America's national emblem was photographed along the Sunset Strip at the top of La Cienega Boulevard on October 3, 2016. 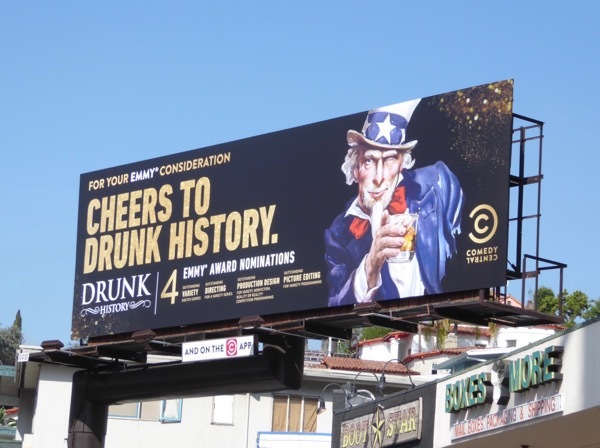 Fans of the comedy show can check out all these previous season Drunk History billboards too, including a drunken Uncle Sam. 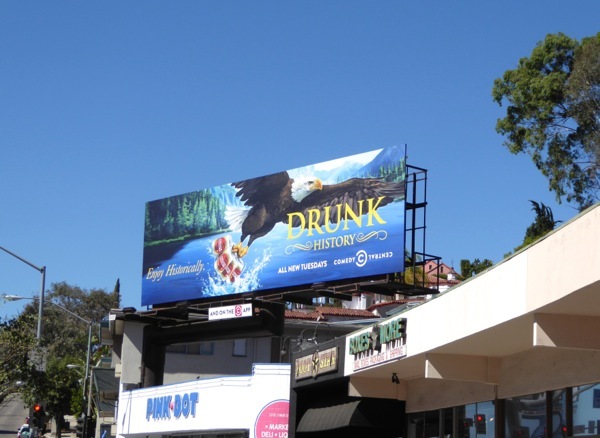 Plus for another fun Bald Eagle ad creative be sure to also enjoy this Jim Jefferies Freedumb billboard. Discover the truth of history that they never taught you in school, and be sure to enjoy your drinking responsibly, and historically, this weekend. 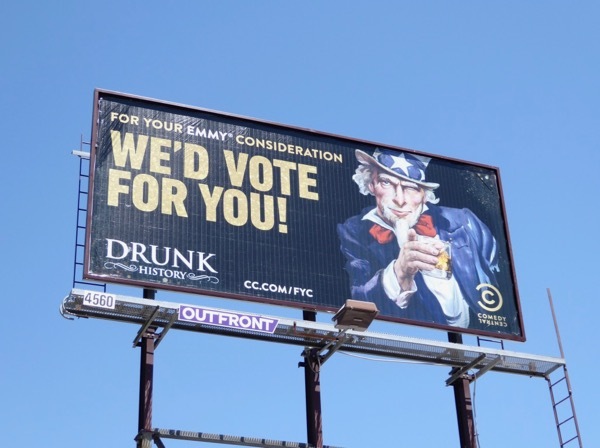 UPDATED: Here's also an Emmy consideration billboard for the Comedy Central show, utilizing the season three inebriated 'Uncle Sam' key art, snapped along Sunset Boulevard on June 14, 2017. 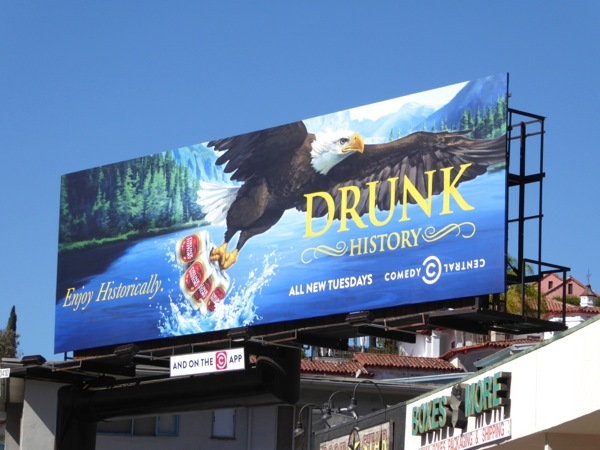 UPDATED: Congratulations to Drunk History for receiving four Emmy nods for its fourth season. 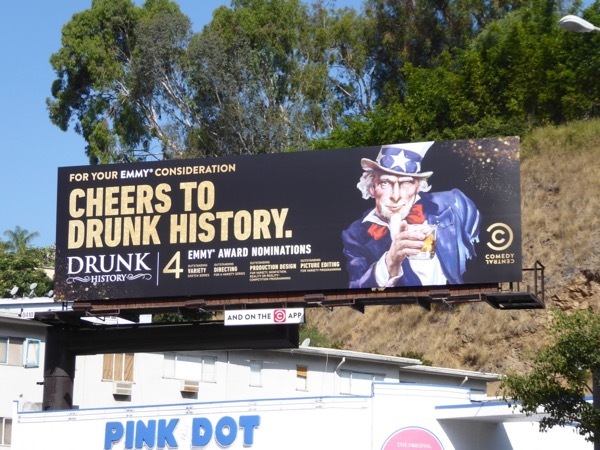 This Emmy nominations billboard with Uncle Sam raising a toast to historical comedy series was photographed along the Sunset Strip on August 18, 2017.